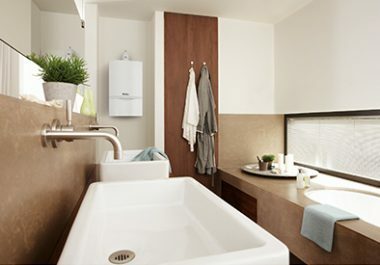 Increase efficiency and reduce costs with a New Vaillant Boiler from Range Heating. Buying a new boiler is a massive investment, both of time and money, which is why you want to be sure you make the right choice; not only this, but a good boiler should last you 10 – 15 years with regular servicing, which means it needs massive consideration. Range Heating gives free home consultations as well as fixed written estimates which you can take your time reading over, because we know having the time to compare and really get to grips with a quote is important, as you don’t want to have an engineer hovering over you whilst you make a decision. We’ve been doing boiler installs in Manchester and Cheshire since 2008. The traditional boiler is installed with a copper cylinder in the airing cupboard or attic, as well as a cold water tank. A regular boiler, also known as conventional or heat-only boiler, heats the water sent through your radiators and hot water cylinder. They are great for sending hot water to many taps at the same time without the flow of the heat lessening. Conventional boilers are typically for larger homes, or for homes with more than two people living there. If in doubt about the type of boiler you need, just ask Range Heating and one of our experienced boiler engineers will quickly get back to you. We like to take our time with boiler installs; some companies will rush the job so they can do as many jobs as possible, but we like to do the job over two days to ensure we have the work completed to our own exact standards. A high quality of work and customer service are very important to us. As well as fixed written quotes, Range Heating flushes the system to make sure every part is up to scratch, as it allows us to do a full analysis. 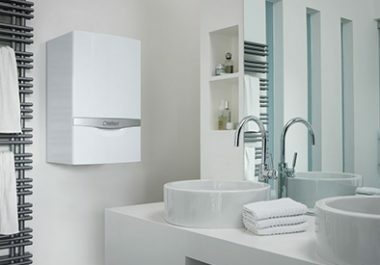 A boiler installation can cost anywhere from £1600 upwards depending on the current system, the size of the property, the number of bathrooms, the existing controls for the heating and hot water, and how efficient you want your system to be. Certain systems and boilers can be more efficient and reduce bills further than simply changing the boiler like for like. Also, having the right controls that can talk to the boiler properly can have a large effect on your bills. Ideally, a programmer or thermostat should be able to modulate the power of the boiler, not just turn it on or off. Imagine driving your car with either your foot hard on the accelerator or hard on the brake, not very efficient! Enough space is needed to fit the hot and cold water tanks, but as mentioned above, this space is typically either in the airing cupboard or attic. Boiler controls are used to programme when you want hot water, so some pre-planning is needed before you require hot water. The hot water cylinders are of a limited size so once the hot water runs out, you have to wait for the cylinder to heat up again before you can use the hot water again. The more you spend on a boiler now, the less likely you are going to have to spend money on servicing and repairs. If a component needs replacing you could easily be looking at £300 and upwards for a repair. If you have a British Gas Contract you will most likely be paying £30 per month minimum which is £360 per year. It makes more sense to have a new boiler with a 10-year parts and labour warranty rather than paying British Gas £3600 over the next 10 years. A boiler service is £60. British Gas cover does not include servicing, it involves safety checks without removing the cover. Call 07872 105 094 to talk about a new boiler. On top of the worries about cost, efficiency and boiler brand, you also have to keep in mind the possible mess engineers could cause during the install. This is why we go to massive lengths to ensure your house is kept as clean and as mess-free as possible. We like to use sticky-back plastic, often called roll and stroll which is laid down on the floor ensuring no mess. As well as this, we use rubber-backed mats to protect surfaces. We even wear plastic overshoes when needed; we really care about making sure that your property cleanliness is kept to our high standards. I called Range Plumbling and Heating when I moved i nto my house, to have them look at the old boiler and see if they co uld get it working. It was a very old boiler and I expected a replacement would be needed; however they succeeded in getting it working again and it saw me through the first winter. When the boiler did final ly go, I received good straightforward advice on boiler options, it was in stalled neatly and quickly, and has worked perfectly since. I’ve alway s received excellent service, at a good price, and absolutely recommend them to anyone needing a boiler service or new installation. We love Vaillant boilers. They are the most reliable and energy efficient on the market. As trained, Advance Plus installers we offer a 10 year guarantee on all new Vaillant boilers. All our engineers are Gas Safe Registered and properly insured with £2 million of public liability insurance. We are happy to share our documentation with you if you ask. Modern heating systems need to be fitted by engineers trained in installing modern heating controls. All our engineers are accredited members of the Honeywell Installer Network. Our typical recommended brand is Vaillant boilers, as we have found that they are the best products on the market, and they come with a 10-year guarantee. However, we also offer other products such as Worcester, Baxi, GlowWorm, Viessman and other boilers if you prefer, depending on your exact needs. We like to consider a mix between systems needs, system design and your budget. 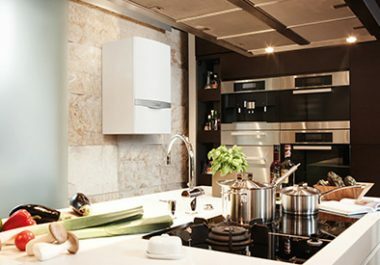 With our large range of boiler brands, we’re sure to find the perfect boiler for you. As we’ve mentioned, a good boiler should last up to 15 years, which is why we also use Spirovent technology; Spirovent uses filters which block dust and air, and also remove them, from entering the system. This stops the system from rusting which prolongs its lifespan, giving you more value for money, as well as maximising efficiency. The way the Spirovent technology works is through deaeration, and is called fluid conditioning within closed systems, and it aims to optimise efficiency and function. A great reason for using Spirovent technology is that it is continuously working to improve the system – it relies on prevention rather than reaction. There is no obligation to proceed with the work and our costs will always beat British Gas for the same job. Feel free to question us about anything you are not sure about.